This is a one-off very special carving called Whakahaumaru iho. Whakahaumaru means to safeguard, protect, and iho means heart, essence, inside, inner core, kernel, pith of a tree, essential quality, nature. So together this means to protect our innermost essence. 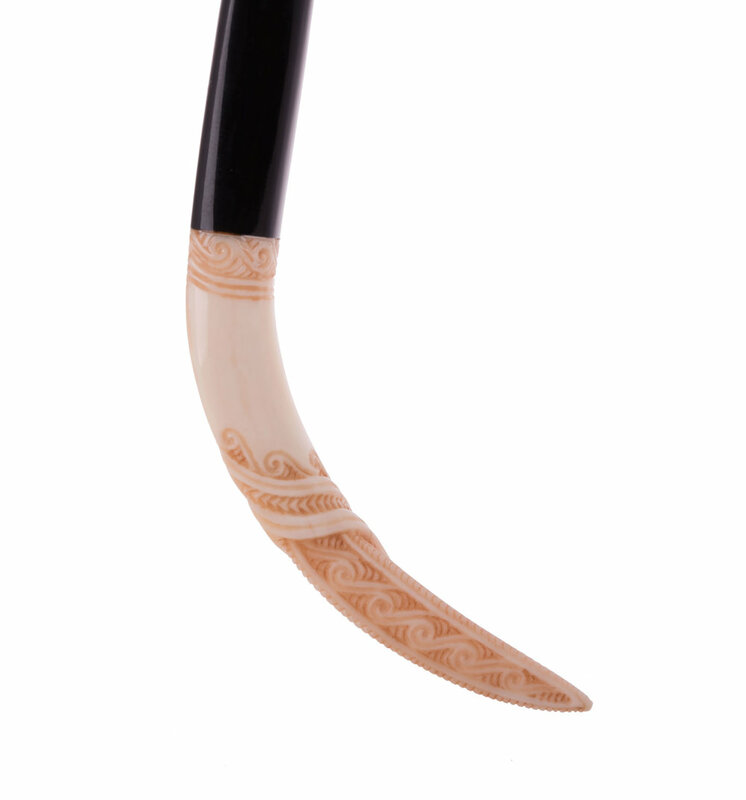 It is made from Boar Tusk with and inlay of Buffalo horn at the top of it where it is hung. Although there are many meanings imbued within this design, the main theme of it speaks of strong protection and strength! Inner strength that is unshakable and stable. The tusk and horn is used by the animals for their protection and also to protect their young and others within the herd. The tusk of the wild boar is essentially ivory and is very hard. There are three carved facets on the tusk. This is symbolic of receiving spiritual blessings upon our body, speech and mind. For this is the true protection we carry with us for ever! This design points upwards, lead us to higher grounds and ultimate bliss. There are also other levels of meaning contained within this Taonga.